Post Graduation from any recognized University preferably M.Com / MBA (Finance) – CAIIB /CA/ICWA will be additional qualification. Minimum 5 years of experience in the area of Credit Management, including appraisal, assessment, sanction and post sanction monitoring of Bank advances in Corporate/SME segment including imports and Exports / Trade Finance. Age: 30 to 35 years. grade depending on their experience and potential. Post-Graduation or Graduation with CAIIB/ICWA. Should have atleast 7 years in Banking Experience with 5 years as Branch Manager in any private Bank or Nationalized Bank, with proven track record of Performance in customer acquisition, Credit Sourcing, appraisal, Credit Monitoring and achieving set targets. 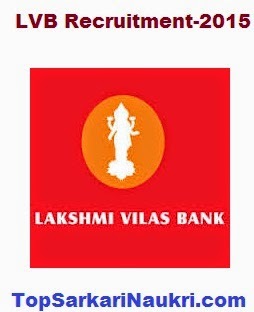 Graduates with minimum seven year’s experience in any Nationalized/Private Sector Bank of which atleast two years as Branch Manager/Credit Manager and minimum Two years’ experience in Branch Inspection under CBS environment and Risk Based Internal Audit. Candidates should be willing to undertake travel to various branches for carrying out inspection of branches. CAIIB, CA, MBA, LLB, CISA will be added as advantage. Age group: 40 to 50 years4. A degree in Law. Master’s Degree would be added as additional qualification. Working knowledge in computers is essential. Minimum 5 years practice as an Advocate handling Bank’s cases related to recovery, enforcement of securities, SARFAESI, DRT and documentation of all lending operations. Two years of exposure in any bank will be desirable. Master’s Degree with CAIIB. Should have experience of minimum 10 years of banking service as Senior Manager/Chief Manager with good track record in Branch business and adequate exposure in Corporate Credit/ Treasury /Risk Management/ Technology/ Legal/ Marketing/ Retail Lending/Agricultural Credit by working in the respective departments or as a Trainer in these areas. Preference will be given to candidates who have been exposed to conducting training programme and or with experience of having worked in training setup.